I am proud to announce that WAKO has officially joined the Olympic Family! As director of WAKO Region 10 for the Untited States of America (which oversees Pennsylvania, Delaware, Maryland, New Jersey, West Virgina, and Washington, DC) we are dedicated to helping train and field athletes for Olympic level competition. We have already seen great success at the Pan American Championships and World Championships for Team USA. The future is bright for sport karate in America. –Bill Viola Jr. The IOC Executive Board (EB) received updates on the endorsement of the Athletes’ Rights and Responsibilities Declaration and addressed key issues for International Federations and the Olympic Movement during the first day of its meeting in Tokyo. An update on the implementation of the Athletes’ Rights and Responsibilities Declaration (Declaration) was given to the EB by Kirsty Coventry, Chair of the IOC Athletes’ Commission. After the official adoption of the Declaration at the IOC Session in October 2018, the Declaration continues to be expressly adopted and supported by sports organisations throughout the Olympic Movement as each of their congresses or general assemblies has been held. Over the past few weeks, both the Association of National Olympic Committees (ANOC) and the Association of Summer Olympic International Federations (ASOIF) endorsed the Declaration at their General Assembly and Council meetings respectively. 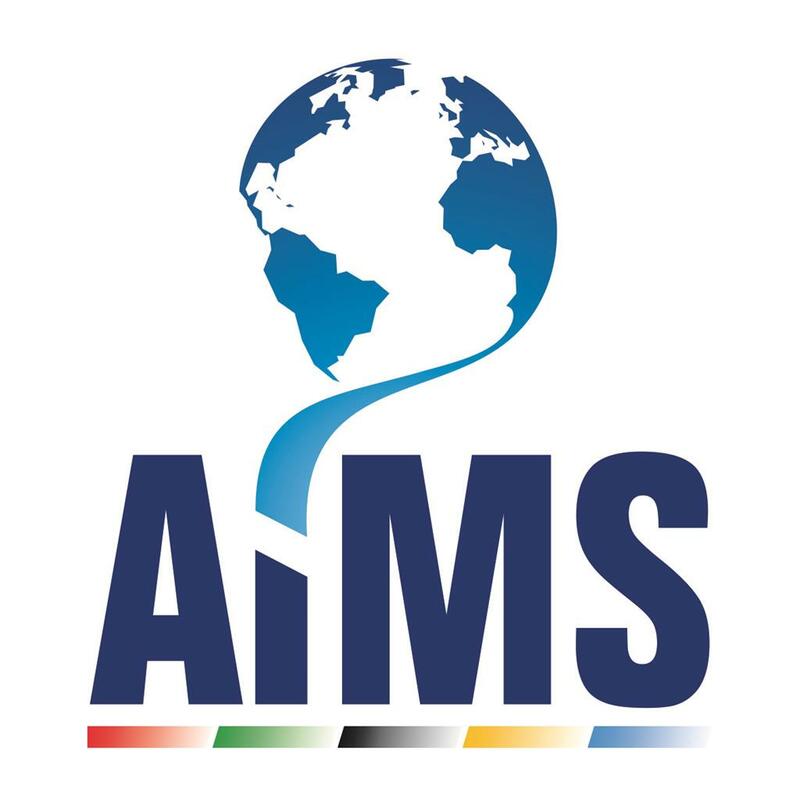 At a continental level, representatives from more than 80 NOC Athletes’ Commissions at the PanAm Sports Athletes’ Forum in October and the Asian Athletes’ Forum in November fully supported the formation of the initiative and included the adoption of the Declaration as one of their Forum recommendations. Other athlete organisations to fully support the Declaration include the ANOC Athletes’ Commission, all five Continental Associations’ Athletes’ Commissions and the World Olympians Association. Others, like the Canadian Athletes’ Commission, have publicly expressed support. On an International Federation level, the international Ski Federation (FIS) fully endorsed the Declaration at its autumn Council meeting, whilst the New Zealand NOC will begin the process of embedding the Declaration in its formal policies and processes. 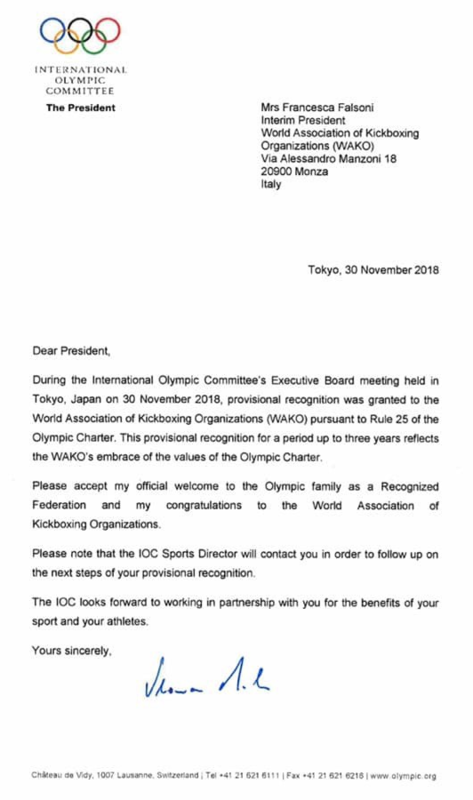 The International Sambo Federation (FIAS), the Federation of International Lacrosse (FIL), and the World Associations of Kickboxing Organisations (WAKO) were granted provisional IOC recognition for a period of three years by the EB. These three International Federations will now be able to receive funding from the IOC and can apply for development programmes, while full recognition has to be granted by the IOC Session. The IOC Executive Board noted the very positive steps taken by the International Weightlifting Federation (IWF) to strengthen its anti-doping programme. The positive steps include the newly designed Tokyo 2020 qualification system, which links the number of quota places available per country to their history of doping and rewards clean sport; suspension and monitoring of nine national federations for up to one year each; the implementation of new strict anti-doping policies and procedures; the MoU between the IWF and ITA delegating remaining areas of its anti-doping programme throughout 2019; and no positive results to date from doping testing at the recent IWF World Championships. At the same time, the IOC EB expressed its concern regarding the actions in allowing non-eligible athletes to participate in an exhibition at the recent IWF World Championships. The Board decided to continue to monitor the final report on the samples collected at the IWF World Championships as well as awaiting confirmation of a successful and smooth transition of key areas of the IWF anti-doping programme from the Canadian Centre for Ethics in Sport to the ITA as of January 2019. These elements will be further reviewed at the next EB meeting, with a view to the option of lifting the conditional inclusion in the sports programme of the Olympic Games Paris 2024. Changes of nationality for two athletes were also approved by the EB: Odile van AANHOLT (sailing) switched from Aruba to The Netherlands; and Brisa HENNESSY (surfing), from USA to Costa Rica. The IOC EB decided to recommend to all IFs and other recognised sporting organisations that the allocation of international sports events to a country must include the necessary guarantees to ensure equal treatment for the participating athletes and sporting delegations. This is in accordance with the basic principles of autonomy and non-discrimination which govern the Olympic Movement. Countries that will host international sporting events must guarantee these principles, and all international sports organisations concerned should not allocate any international sports event to a country that does not provide the necessary guarantees. In this framework, the IOC EB took note with concern about the difficulties encountered by the Kosovan athletes to participate with full rights and without discrimination in some international sports competitions organised recently in Spain. At the same time, the IOC EB welcomed the firm engagement from the Spanish Government to redress this situation, as expressed in a letter from the Foreign Minister to the Spanish NOC. It guaranteed, in Spain, the participation of the athletes from Kosovo with all rights and no discrimination in relation to other athletes, in all competitions under IOC auspices – this means all competitions organised by sports organisations recognised by the IOC. 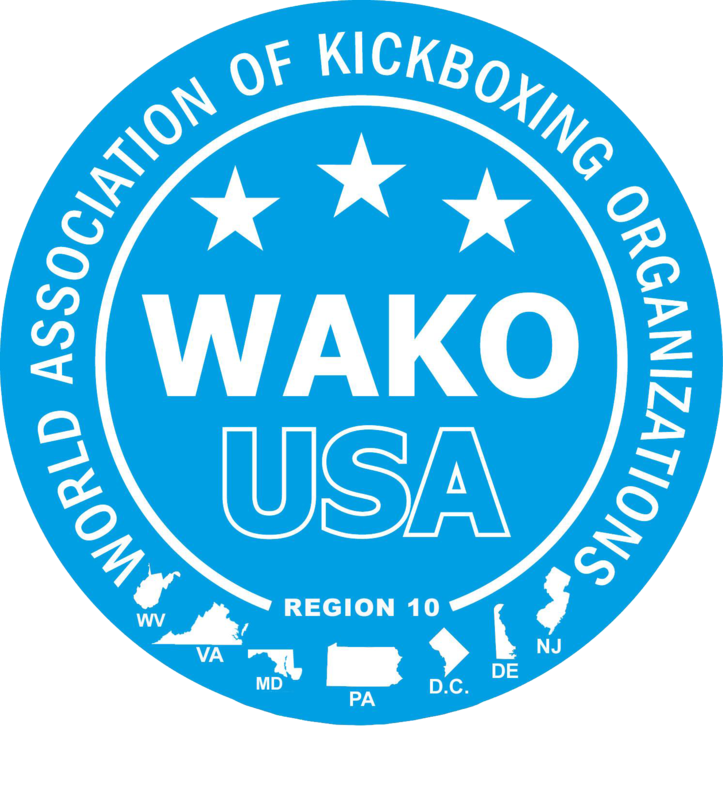 WAKO USA is the United States’ division of the World Association of Kickboxing Organizations and the governing body of Amateur kickboxing sport certified by Sport Accord and now as of 2018 a member of the IOC. WAKO holds a world championships every two years, with youth (18 and under) and adults (18–45) on separate years; only national teams are accepted. Each member country can present only one competitor in each weight class. Competitors are commonly the national champion of their weight class in that particular kickboxing style and many are also officially recognized by their National Olympic Committees or Ministry of Sports. WAKO kickboxing was one of thirteen combat sports participating in the first ever World Combat Games which were held in Beijing, China under the patronage of the IOC and SportAccord in 2010. WAKO once again participated in the 2013 World Combat Games which were held in St. Petersburg Russia in October of 2013 under the patronage of the IOC and SportAccord. Three rule styles were involved at the Combat Games – Low Kick, Point Fighting, and Full Contact. 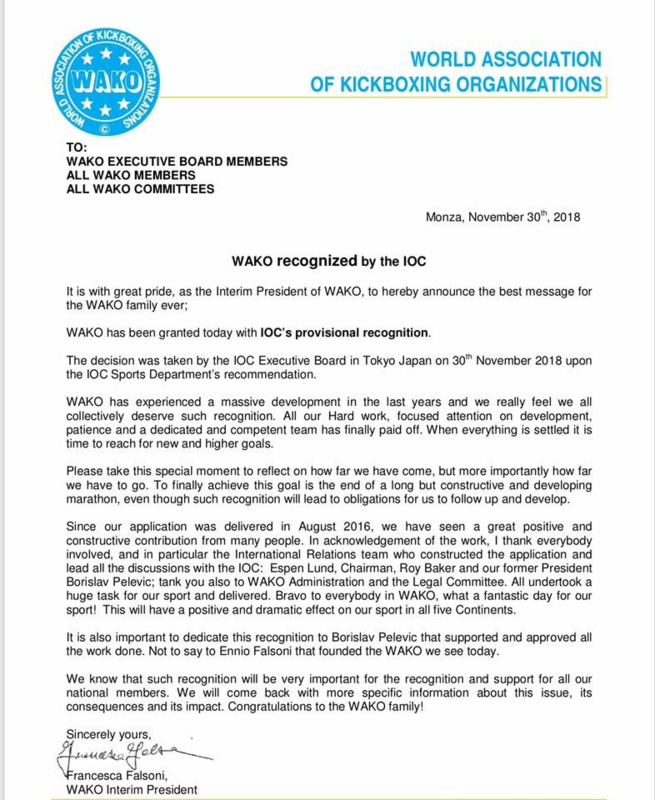 WAKO USA and WAKO PRO govern and sanction the sport of kickboxing in three rule styles that compete inside a boxing ring: Full Contact, Low Kick, and K-1. WAKO USA governs and supports martial arts competition which takes place on a matted floor in four styles: Point Fighting, Light Contact, Kick-Light, and Musical Forms. Every two years the WAKO World Championships brings together the best athletes from around the world to compete in each rule style. Each of WAKO’s 85 affiliated national federations can present only 1 competitor in each weight class and the WAKO World Championships determines who truly is the best of the best. 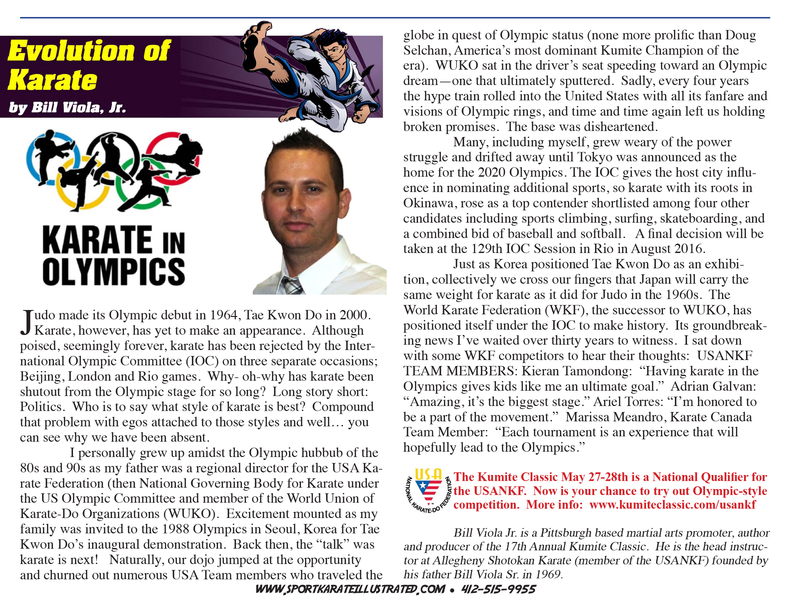 From Sport Karate Illustrated, May 2016: -By Bill Viola Jr.
Judo made its Olympic debut in 1964, Tae Kwon Do in 2000. Karate, however, has yet to make an appearance. Although poised, seemingly forever, karate has been rejected by the International Olympic Committee (IOC) on three separate occasions; Beijing, London and Rio games. Why- oh-why has karate been shutout from the Olympic stage for so long? Long story short: Politics. Who is to say what style of karate is best? Compound that problem with egos attached to those styles and well… you can see why we have been absent. I personally grew up amidst the Olympic hubbub of the 80s and 90s as my father was a regional director for the USA Karate Federation (then National Governing Body for Karate under the US Olympic Committee and member of the World Union of Karate-Do Organizations (WUKO). Excitement mounted as my family was invited to the 1988 Olympics in Seoul, Korea for Tae Kwon Do’s inaugural demonstration. Back then, the “talk” was karate is next! Naturally, our dojo jumped at the opportunity and churned out numerous USA Team members who traveled the globe in quest of Olympic status (none more prolific than Doug Selchan, America’s most dominant Kumite Champion of the era). WUKO sat in the driver’s seat speeding toward an Olympic dream—one that ultimately sputtered. Sadly, every four years the hype train rolled into the United States with all its fanfare and visions of Olympic rings, and time and time again left us holding broken promises. The base was disheartened. 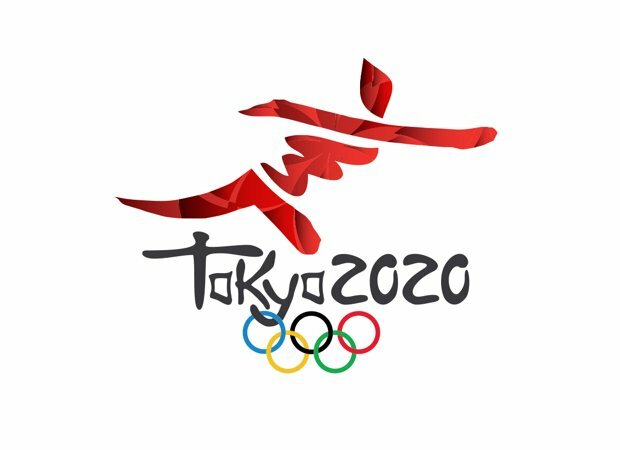 Many, including myself, grew weary of the power struggle and drifted away until Tokyo was announced as the home for the 2020 Olympics. The IOC gives the host city influence in nominating additional sports, so karate with its roots in Okinawa, rose as a top contender shortlisted among four other candidates including sports climbing, surfing, skateboarding, and a combined bid of baseball and softball. A final decision will be taken at the 129th IOC Session in Rio in August 2016. 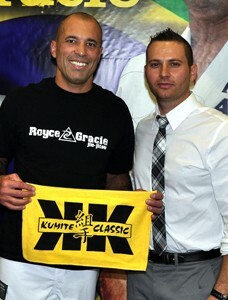 Bill Viola Jr. is a Pittsburgh based martial arts promoter, author and producer of the Annual Kumite Classic. He is the head instructor at Allegheny Shotokan Karate (member of the USANKF) founded by his father Bill Viola Sr. in 1969.